Death Cab For Cutie has chosen a few select summer shows to announce their appropriately quiet reawakening. The long-running indie rock band last album was 2011’s Codes and Keys, which followed the band’s two most successful albums especially 2005’s Plans. That album and the single “Soul Meets Body” finally placed the sound of one of modern indie rock’s most revered bands into the ears of a whole host of radio listeners. 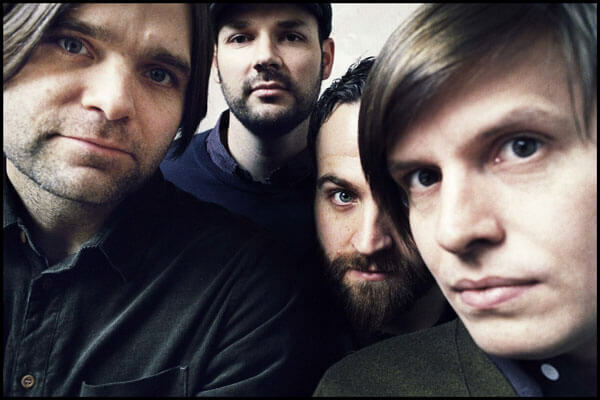 The biggest accomplishment is singer Ben Gibbard and company achieved that success without sacrificing the band’s identity. Death Cab is still essentially riding the same wavelengths that they have since their 1998 debut, Something About Airplanes. The band writes airy but erudite songs, which are often anchored by the tidy production of band member Chris Walla. The band’s melodically nimble songwriting has defined an era rife with bands that have been inspired to pen similarly sentimental but literate indie pop. The partnership of singer-songwriters Josiah Johnson and Jonathan Russell began over a series of Seattle-area open mic nights in 2009 and soon rolled up four additional members to form the Head and the Heart. The band’s first release started as a CD-R in a handmade sleeve, which sold out once it made its way onto local record store shelves. Sub Pop Records remastered and re-released the album in 2011 and songs like “Ghosts,” “Down In The Valley” and “Lost In My Mind” propelled them to club headliner status across the country. The band continues their solid mix of folk-rock harmonies and indie-pop directness on their second album Let’s Be Still. Following up a buzzed-about debut album is often a thankless task Stick to the sound and get tagged with just repeating past successes. Try to change it up and risk losing your audience. Or do what Local Natives did when they followed up 2009’s Gorilla Manor with 2013’s Hummingbird Working with the Nationals Aaron Dessner, the band fully evolved into their own identity, well beyond the grab-bag of indie rock influences that made Gorilla Manor a treat. Local Natives mix harmonized vocals and soaring instrumentation with big rock guitars and tricky rhythmic switches. It is intellectual indie rock that will get your hips swinging. The pedigree of revered alternative pop songwriter Aimee Mann and the springy, indie punk of Ted Leo are well-known, but check out Tim McMahan’s interview to learn what brought the two together to form The Both. This Minneapolis indie hip-hop collective gather together the firepower of P.O.S., Dessa, Lazerbeak and a host of other big underground hip-hop names to make intricately layered music marked by a soul music-cribbing instrumentals and thought-provoking, literate verses. The buzz is building for St. Joseph, Miss. punk power trio Radkey. Consisting of three brothers, the band plays a scuffed-up, grungy rock sound that would appeal to fans of Mudhoney, the Stooges or any number of bass-propelled stoner rock bands. Radkey is already showing a mastery for performing heavy, but hooky rock songs. Songwriter Luke Pettipoole has a dreampop heart but a knack for wringing soaring anthems and propulsively rhythmic rushes out of his lush soundscapes. The Des Moines band has earned a loyal following in Omaha, thanks to frequent club show stops.